Ventoux is the most fearsome mountain encountered on the Tour de France. It is also the story of Lance Armstrong and Marco Pantani – whose drug-fuelled race there in 2000 was the greatest cycling had ever seen. Ventoux charts the parallel lives of these champions who overcame great adversity in tandem, and the mountain that cast them in opposing directions. 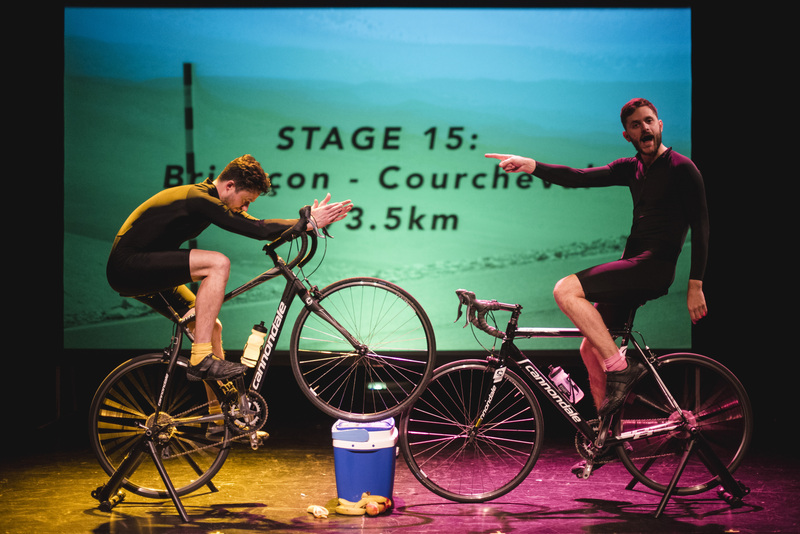 Join 2Magpies as they restage the race using breath-taking video accompaniment and a pair of road bikes, asking the question – how far will we go to succeed? Ventoux Trailer 2018 2.0 from 2Magpies Theatre on Vimeo. Advanced prices: £6 UoE Students/ £10 Concessions/ £15 Full. More on the door.